I like the car, but it looks like an old Panoz,not the real car. James: Not with Penske, Ganassi, or AGR!!! Hope RPM has a good graphics company... The Panoz & the Dallara have vastly different body forms... the break up of the STP Day-Glow & the Petty Blue is important. Also another observation... even the ARTWORK has been executed on a Panoz (big idea)!!! 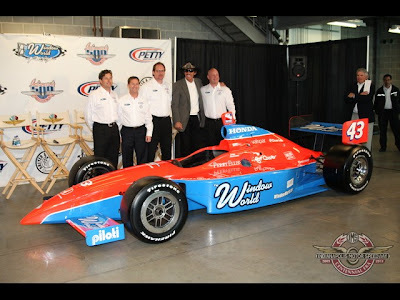 Any chance that D&R have old G-Force/ Panoz equipment & spares that fits the Andretti /RPM budget??? Camping World, now Window World. 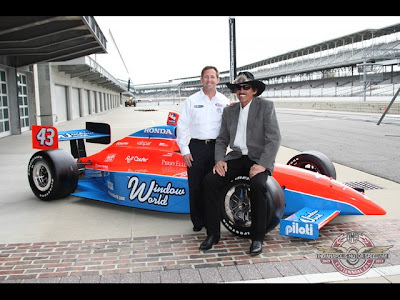 Next year John Andretti will be sponsoroed by Wally World.